A sense of community and harmony in the home contributes to the self-esteem of your children. Children who grow up in a nurturing environment where respect is shown to every member of the family are more likely to have high self-esteem. When parents give emotional support and approval, children can be themselves and feel happy to be a part of the family. It is important that parents communicate affection and affirmation to their children from an early age. Parental praise and encouragement help children to feel they are important and the things that they are interested in are significant. Parents need to listen and encourage children to share their feelings and needs. Each child should be treated as a unique individual with the sense of acceptance. As children get older they should be given a voice and encouraged to express themselves respectfully. At the same time, parents need to listen to their children and give appropriate feedback. Rules and boundaries play an important part in building self-esteem in your children. Parents demonstrate their love in a practical way as they ensure their children's well-being and protection through establishing limits. Rules should be clear and parents need to stick to what they decide on as the appropriate response to a particular behavior. This consistency promotes children’s feelings of security and self-esteem. However, while limits are important, they should not suppress children's creativity. Parents need to promote in their children feelings of being unique and productive individuals. It is important that parents do not compare their children with other children, or one child with another one. Instead, help your children develop strategies to improve where they are areas weaknesses. Assist children to develop in special skill areas such in arts and crafts or playing an instrument. 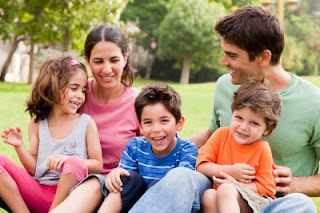 However, parents should always bear in mind the uniqueness of each child and his or her interests. When children find something they can do well, this serves as motivation for performance and achievement in other areas, and this reinforces their self-esteem. Parents' conviction that each of their children is born with a special purpose is passed to the children verbally and in their interactions with them. This leads to children having a sense of destiny. They feel that they are born with a special purpose, and this enhances their overall picture of themselves. Parents need to nurture children to believe that they are capable of achieving their purpose. The YouTube video gives practical tips on how to affirm children using love notes. It outlines three rules for writing love notes. Since the goal is to build character in children, parents need to be specific, honest and positive when they write their love notes. The second video gives other practical tips to build your children's self-esteem. Since parents have he greatest influence on their children's self-esteem in the first six years of their life, steps to build their self-worth should begin early. This includes helping children to develop secure attachment that leads to a sense of trust.